County Turf are very proud to announce that we have supplied and successfully installed the first ever HERO Hybrid Grass pitches in Spain at the world renowned, UEFA Champions League winners 2017, Real Madrid Football Club. Paul Burgess, Real Madrid’s Head Groundsman, spent many months analysing the different hybrid systems available to the industry. After much consideration Paul selected HERO Hybrid Grass. 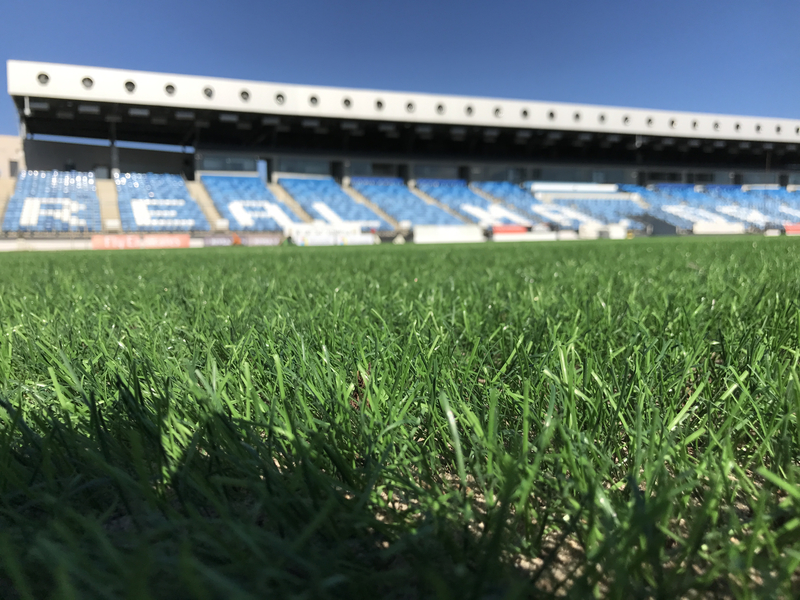 ‘I chose HERO Hybrid Grass because of its superior bio mechanical performance against other vertical fibre systems in relation to surface hardness as well as the ease it provides at renovation. The open backing suffers very little to no damage on vertical aeration. We are confident with the proven technology vertical fibre systems offer and as HERO Hybrid Grass longevity superseded other similar systems in the marketplace, it became our surface of choice. We are all very satisfied with the system and the club are already planning to increase the amount of HERO Hybrid Grass in our training facility for 2018’. Paul Burgess, Head Groundsman, Real Madrid CF. 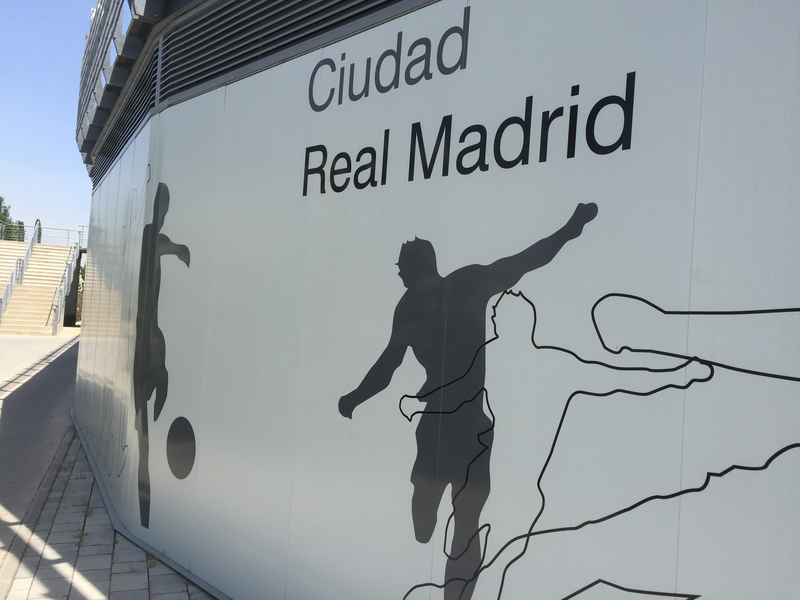 We started our installation at Real Madrid in the middle of May. 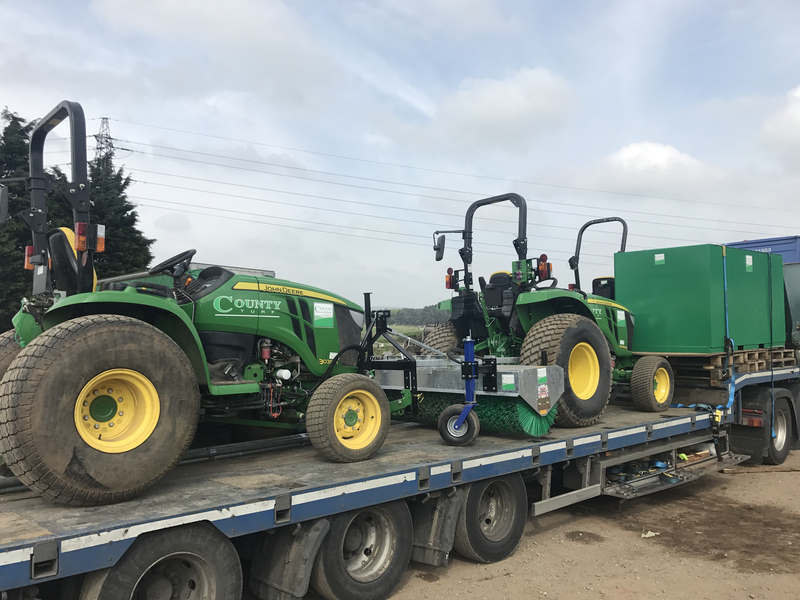 We loaded up all of our equipment on a cloudy day in North Lincolnshire and excitedly ventured to Spain to begin the installation. 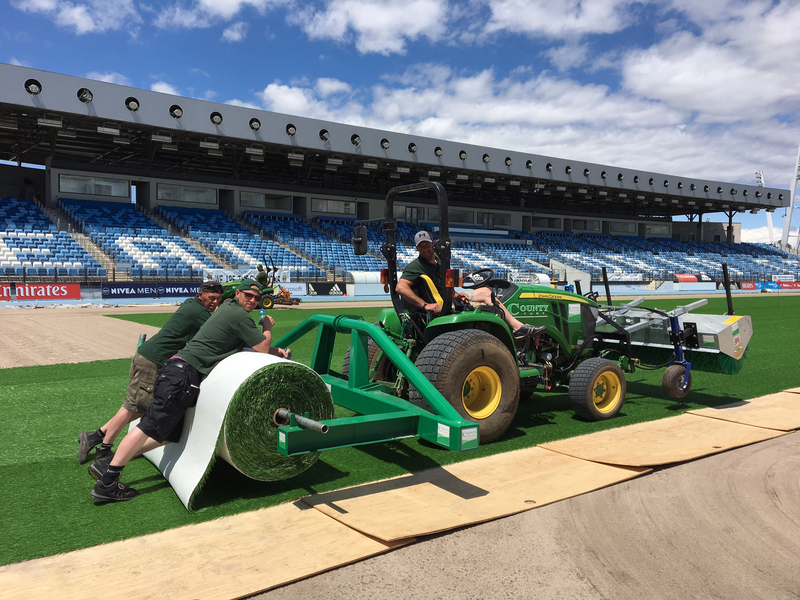 HERO Hybrid installation takes precision planning, and schedules were drawn up prior to works with Real Madrid FC as organisation was crucial. Once one of our teams had finished sewing the next team moved on to infilling with sand. For a change it wasn’t our product that needed watering – just our team who were not used to working in wall to wall sunshine and over 35 degrees heat! After only two and a half weeks of hot work, our installation process was completed at one of the biggest clubs in the world and the results have been fantastic. On 5th August, UEFA Champions Real Madrid winners returned back to training. They utilised pitches 1 & 2 and the player and coaching staff feedback is that everyone is elated with the new surface. Hybrid systems entered the sporting market 20 years ago, and during this time the HERO Hybrid Grass has been developed to incorporate the many benefits of hybrid technology and refine them under one system. The aim has been to create a perfect playing surface to withstand today’s high usage demands on pitches, and to increase the longevity of the surface in playing hours. HERO has evolved to meet this challenge; its playing surface is 5% artificial grass. This enables the fibres to protect the plant from wear and aids in its recovery. The fibres also provide a visually pleasing green coverage throughout the season. HERO can offer at least 3x more playing hours in comparison to a 100% natural grass surface. 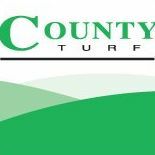 In technical terms, the artificial grass fibre is 65mm comprised of 45mm in the sand profile and 20mm in the natural grass canopy. This offers the greatest distribution of fibres per square metre for the most consistent playing surface available. 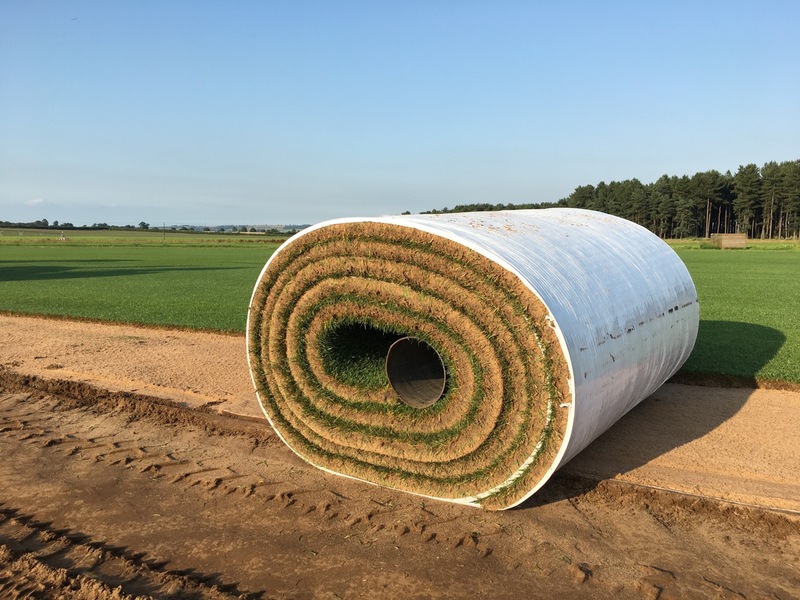 The underside of the system is an open grid structure; this creates the perfect growing environment for the natural grass and allows for the best agronomic performance. As 95% is open, there is nothing to impede the plant’s root growth because there is no physical barrier. The grid promotes strong root development producing a strong natural grass. The surface therefore combines as one system with the upper rootzone and provides optimum firmness for great player comfort. Creating a perfect, consistent playing surface, HERO can also be used as an instant play, and replaceable turf system. HERO Hybrid grass has now been installed in many venues across the world. Other than our newest install at Real Madrid, the system is also in situ at training grounds in the UK at Brentford FC. We have also successfully installed HERO Hybrid Grass at Kingsbarns Golf Links as a solution for golf walkways. The system is also in play in Australasia and the USA, available through our global partners HG Sports Turf and the MOTZ group.